Leading up to the release of her fourth album, When I Get Home, the vocalist, producer, and visual artist Solange Knowles decided to promote it with a series of photos and looping videos on the long-since-forgotten Black Planet, a social-networking site for African Americans that had lain dormant for several years. The images were especially elegant, celebrating black femininity and black cowboys with a stark simplicity. The notion that Solange had resurrected the site became a running gag; on Twitter, black thirtysomethings joked about finding their log-ins and dusting off their old accounts. Solange has come into her own in the past three years, from a decent musician whose work was thought to be a little too flighty to hold serious weight in the mainstream marketplace to a burgeoning cultural beacon who can no longer be contained to just music. She was often compared to her older sister, Beyoncé, who for the past decade-plus has been racking up chart-topping hits that have soundtracked pop culture. Then Solange released True in 2012, a critically acclaimed EP of new wave, downtown funk, and ’80s-inspired R&B produced by Dev Hynes (aka Blood Orange). For the first time in her career, Solange sounded free, untethered to contrived sounds designed simply for commercial appeal. In September 2016, she released A Seat at the Table, a landmark album that spoke directly to what it meant to be black and aware in modern-day America. Blackness was under attack; unarmed people of color were being murdered by law enforcement in a seemingly endless cycle. Seat was a gentle touch at a time of intense anger, full of anthems that emphasized self-care (“Cranes in the Sky”) and unflinching black pride (“Don’t Touch My Hair,” “F.U.B.U.”). New Orleans rap legend Master P. narrated the album, urging listeners to find inner peace and know their financial worth. Seat was a communal effort, carried equally by the icon’s sage advice and Solange’s astute stewardship. The album displayed her mastery of creative subtlety; her whispery timbre and use of stripped-down R&B compositions proved to be a hypnotic mixture. When I Get Home is the rightful heir to A Seat at the Table, though the focus isn’t so broad. It is trained specifically on Houston, Solange’s hometown, and as it plays, we hear the sampled voices of fellow natives Debbie Allen and Phylicia Rashad, and current contributions from city hip-hop icons Scarface and Devin the Dude, all of whom help Solange craft a loving homage to the city’s robust creative class. This is Houston from her unique vantage point, and by incorporating R&B, free jazz, and trunk-rattling bass music into the mix, Solange presents the city as a bustling hub of artistic rule-breakers with uncompromised vision. This album isn’t about standout features, though; instead, you have to dig deep into these tracks to notice Earl Sweatshirt’s modulated vocal loop at the end of “Dreams,” or the New York ensemble Standing on the Corner’s down-tempo funk-jazz hybrids on “S McGregor,” “Nothing Without Intention,” and “Exit Scott.” These guests and others—including rappers Gucci Mane and Playboi Carti, and producers Tyler, the Creator and Panda Bear—are layered into the album’s vast collage of deconstructed soul. When I Get Home is ambient groove music, taking sonic cues from everyone, including New Age icons Laraaji and Brian Eno, cosmic-jazz paragons Sun Ra and Alice Coltrane, and soul-music luminary Stevie Wonder. Where A Seat at the Table sought to empower its listeners verbally, When I Get Home is carried by its instrumentals, leading to a compelling mosaic of carefully crafted sketches. 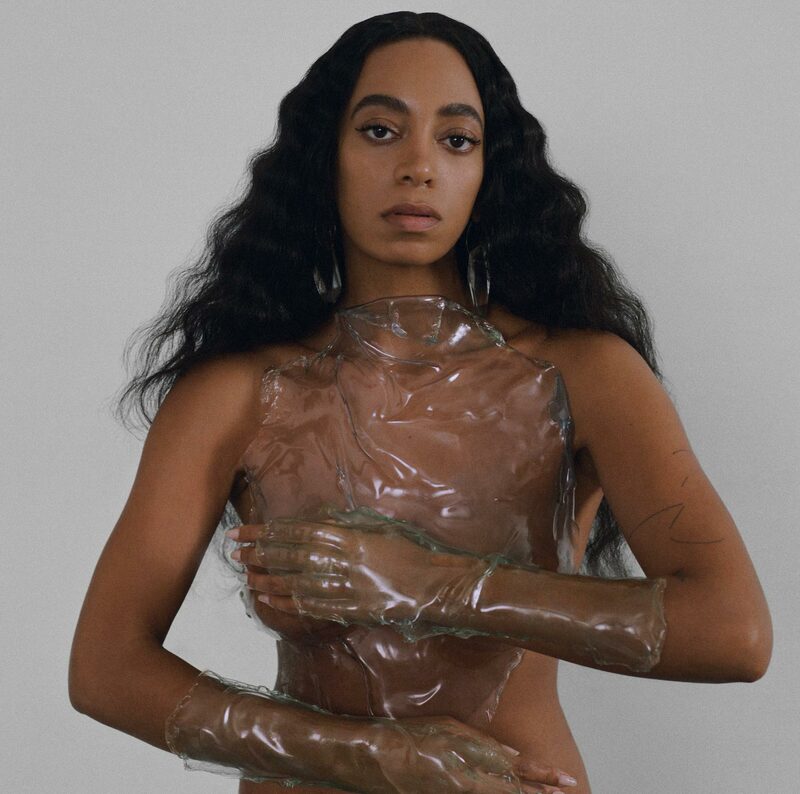 As Solange told art curator Antwaun Sargent at the album’s release party in Houston, words would have gotten in the way of what she wanted to express this time around. Indeed, there’s a feeling of exploration in the lyrics, a notion that Solange is searching for an epiphany that never quite arrives. Running 39 minutes across 19 tracks, When I Get Home is shorter and more disjointed than its predecessor, unpacking fluent streams of thought by using meditative mantras. If there is an anthem here, it would have to be “Almeda,” a triumphant Southern-rap-influenced track at the album’s center that celebrates people of color. Conversely, on “Things I Imagined,” Solange uses just one line (“I saw things I imagined”) as a slogan for declaring her aspirations and seeing them all the way through. The same goes for “Dreams,” where she recollects the goals she once had growing up in Space City. Her voice relays sincerity, longing, a yearning for yesterday. We get a sense of Solange the Houston native, the upstart musician who once had big plans beyond her immediate surroundings. Compare that with the fully realized Solange we get on “Can I Hold the Mic,” a quick interlude near the album’s beginning. “I can’t be a singular expression of myself,” she declares in this spoken-word poem. “There’s too many parts, too many spaces, too many manifestations.” In that way, When I Get Home reminds me of New Amerykah Part One (4th World War), the fourth studio album from the vocalist and producer Erykah Badu, in how it conveys a scattered range of emotions using similar genres of music without losing its way. Songs fade in and drop out suddenly, yet the record presents a fully developed picture of its protagonist through a refracted lens. With When I Get Home, we see more of the person behind the resonant music and splendid visual art. We get the insecure upstart and the confident iconoclast taking triumphant leaps toward a greater vision of herself, while nudging her listeners to do the same.